I first heard about Kabocha squash from an email from Hungry-Girl. It tastes a lot like butternut squash but has a lot less calories. I was roasting some kabocha for myself for dinner so decided to take some and make some baby food for my then 8 month old. I had a hard time getting some protein in her so I decided to add in some roasted chicken breast. 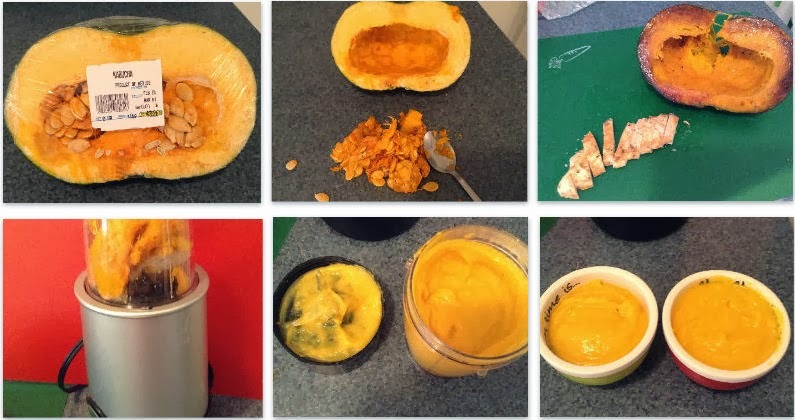 With a spoon, scoop out all of the seeds and tough fibers from the inside of the kabocha. Lightly coat a baking pan with olive oil. Place kabocha flesh side down on baking pan. Bake for 45 minutes to an hour or when a fork pierced in the middle goes though with ease. Season your chicken to your liking (I just use fresh ground pepper) and place on other baking sheet sprinkled with a tiny bit of olive oil. Cook for 15 to 20 minutes or until no longer pink. Let rest 10 minutes then slice. 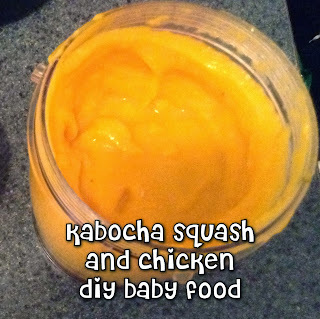 Scoop out kabocha and place in blender/food processor with chicken. Pulse until you get the consistency your baby is used to. If it is too thick, you can add a little bit of purified water. For my toddler I just cut up the kabocha and chicken into bite sized pieces. **I use my Bella Rocket Blender to make my baby food. It is similar to the magic bullet. I have never heard of that squash before. I will have to look it up and see if it grows in our area. I plant a garden with squashes that we put in the cellar to eat all winter. Mmm looks so delicious and healthy! I haven't heard of kabocha either, but I do like butternut squash and spaghetti squash. You make it look so easy. I've never actually opened squash in my life! So this would be interesting. Thanks for sharing this! I'm going to be making my own baby food this time around so I will be bookmarking this! This is really a good idea. I never thought of doing this thing when my daughter was a baby. I bought ready made baby food that time. :( Also, I think, this will be a good diet food as well for those who are trying to cut back on eating and to have a good portion control. 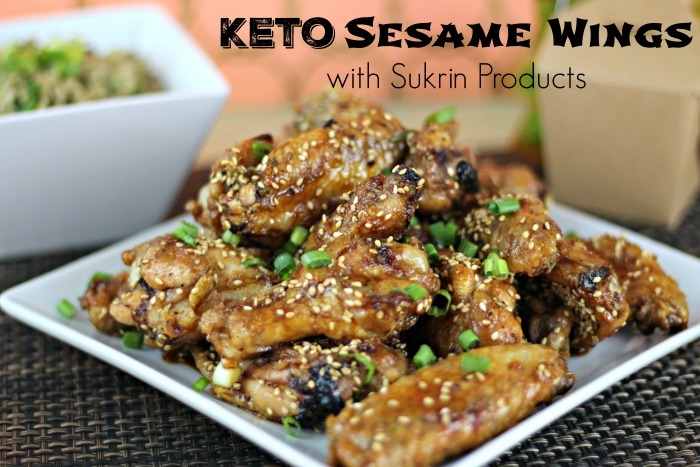 Awesome recipe, thanks for sharing! That’s a healthy treat for the kids. Thanks for the recipe. 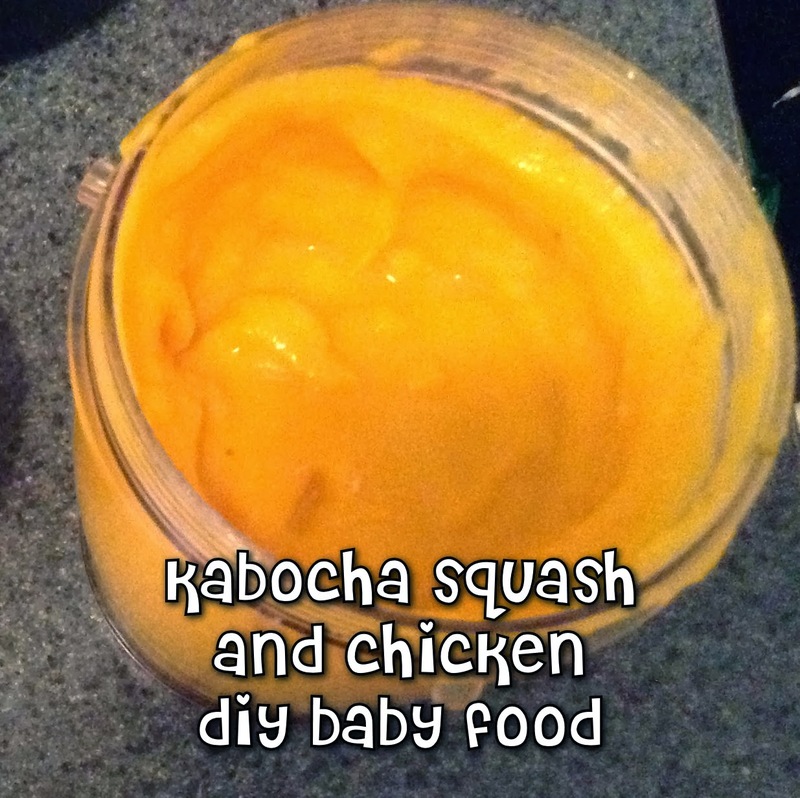 Thanks for sharing this awesome recipe for squash and chicken baby food! You make it look so easy!! :) Thanks for sharing! Nice post. Thanks for sharing this essential food for babies. keep it up......!!! 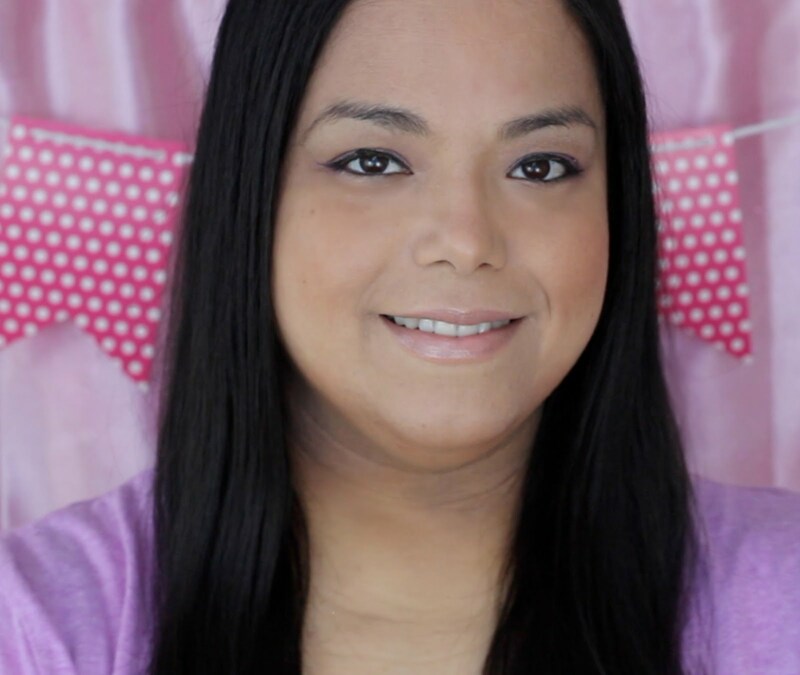 Searching for the baby products for your newborn baby or planning to give some exclusive new born products to your friend's kids product reviews? The task can be a bit tricky for you as you may not have the idea of how to find the perfect product for the purpose. You have searched several websites and have checked the internet to find the best baby products but you could not.